A deep scowl on the face is contrary to nature, and when it becomes habitual expressiveness begins to die or is even finally extinguished beyond rekindling. Try to attend to this very point, that this is something against reason. In the field of moral behaviour, if even the consciousness of doing wrong is lost, what reason is there left for living? All that you see will in a moment be changed by the nature which governs the Whole: it will create other things out of this material, and then again others out of that, so that the world is always young. When someone does you some wrong, you should consider immediately what judgement of good or evil led him to wrong you. When you see this, you will pity him, and not feel surprise or anger. You yourself either still share his view of good, or something like it, in which case you should understand and forgive: if, on the other hand, you no longer judge such things as either good or evil, it will be the easier for you to be patient with the unsighted. Marcus advises on the manner of scowling. Have you ever seen someone who had kept a crusty looking scowl for so long that they no longer can make a different expression? 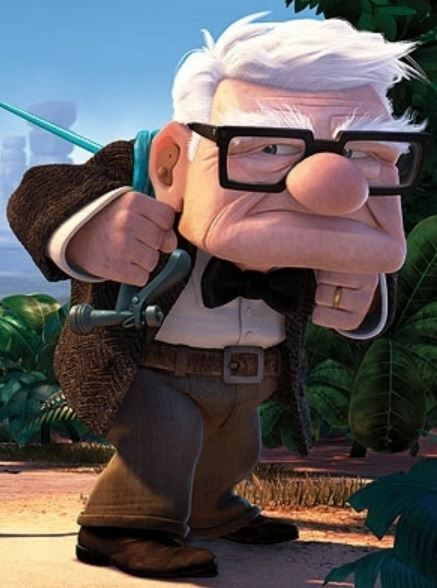 The grump old man caricature in "Up" indicates that the idea is so widespread, it's cliche. Then Marcus drops a bomb about moral behavior: "If even the consciousness of doing wrong is lost, what reason is there left for living?" In other words, if you've lost your moral conscious, there's no point in living anymore. In the next passage is yet another reminder of the frailty of life. Here today, gone tomorrow. Wheat one day, bread the next, and finally waste, which is returned to earth. Change keeps the world young. Lastly, very similar to book 7, passage 22, Marcus believes that ultimately people don't do wrong out of purely mean intentions. Certainly there are the Hilters and Stalins and Pol Pots who have lost their conscious and should not be allowed to live anymore, but I believe Marcus is alluding to the day-to-day interactions we have with people who may cut us off in traffic or who may have let us down or failed to do something they said they would do. In these cases, it is wise for us to find common ground with the other person; give them the benefit of the doubt and quickly forgive, forget and move on. And furthermore, if you can determine the person acted out of ignorance, this ought to help you to more easily give them the benefit of the doubt regarding their intent - very similar to an adult giving a youngster the benefit of the doubt when they have spilled milk, dented a car or even broke a neighbor's window while playing baseball. If they are "unsighted" (in other words, ignorant), do your best to teach them; coach them.